Cane Fu: Moving Beyond Disabilities is an instructional course for anyone who wants to feel more secure in their daily lives. The cane is a versatile tool for health, self-defense and personal fitness that can help you become more independent and feel more comfortable in the changing world that surrounds you. 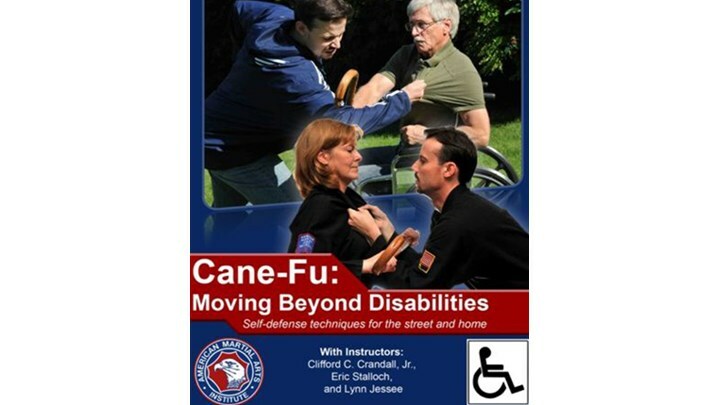 Cane Fu concepts, as promoted by Grandmaster Mark Shuey, Sr. make this course a must for everyone. Whether you use a cane for added balance, mobility or personal safety, this course is for you.